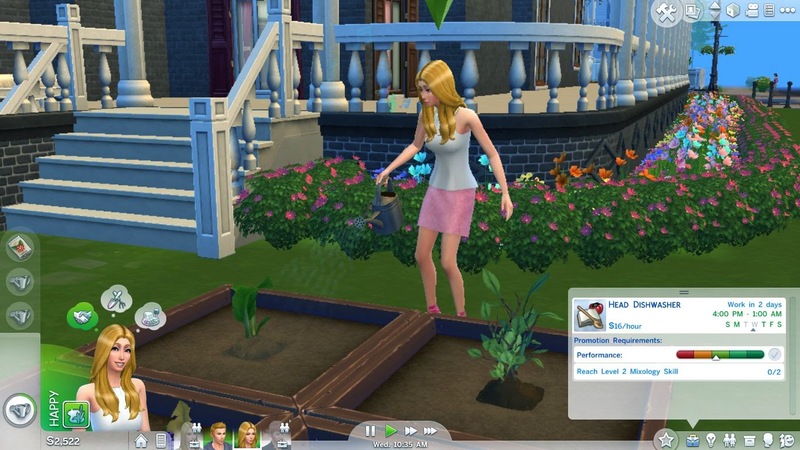 The day started with Jeff working hard to publish his first book while Alex was feeling inspired to make a piece of art.Jennifer was writing jokes on her computer and Laura was busy with her garden. 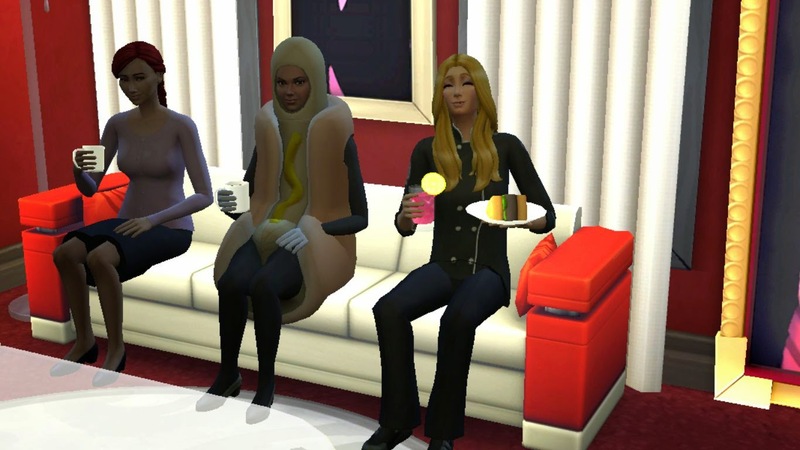 Okay now that's hilarious! 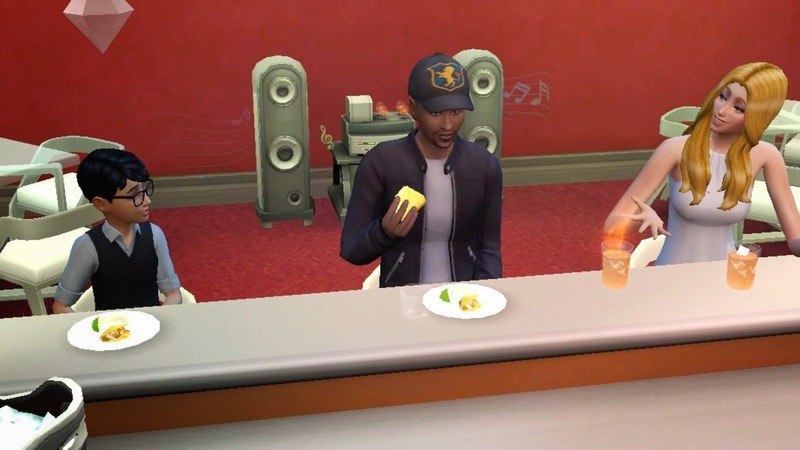 Jeff published the book with breakfast in his hand.Multitasking feature of the game really messed it up. 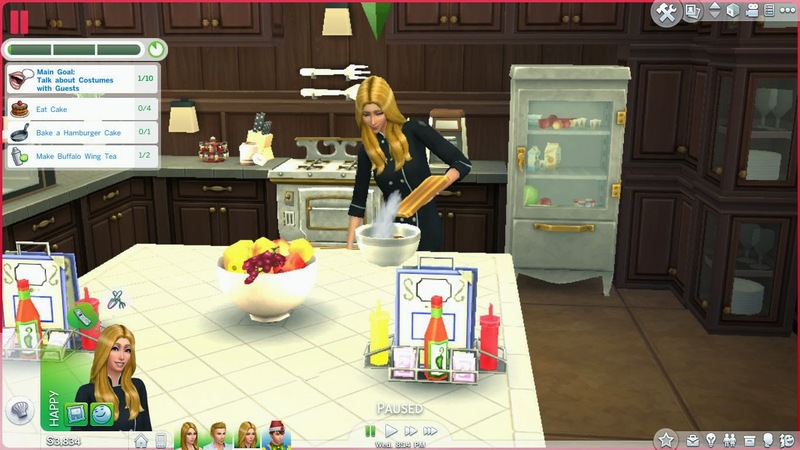 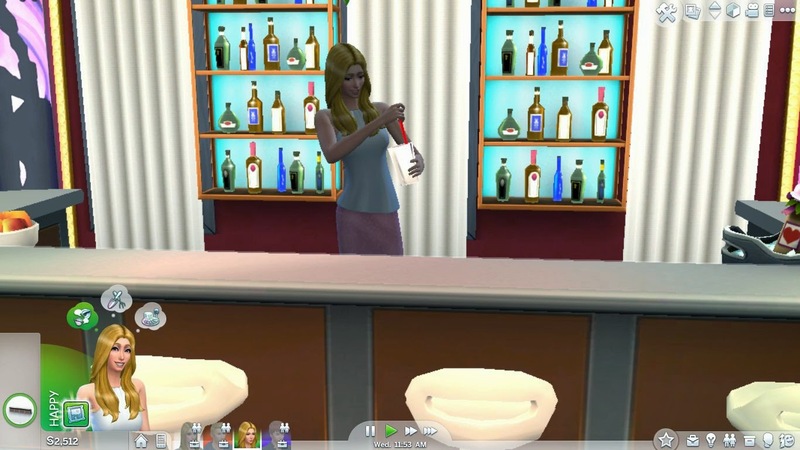 While all of the family member ran off to work Laura put her hands on making drinks.She then went to watch her favourite cooking show and became inspired to make a perfect dish. 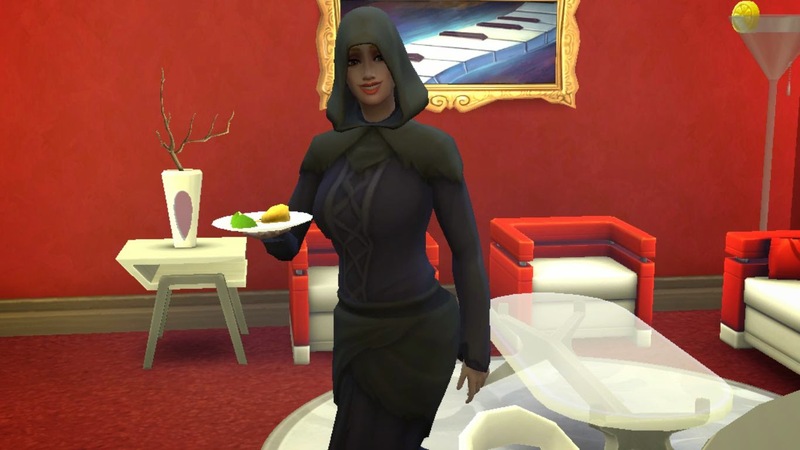 Some neighbours came to visit the house and she catered them with the delicious dish she just made.As she loves children,she easily became friends with little Goth. 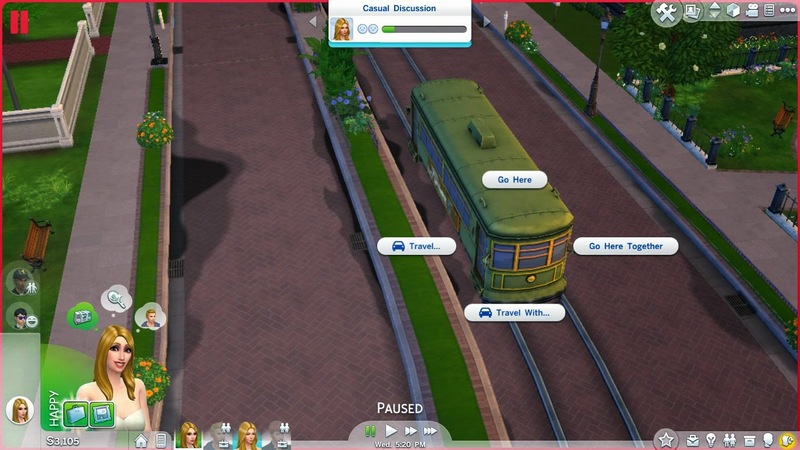 By the way I just found out then trams are not that useless,you can actually travel with them. 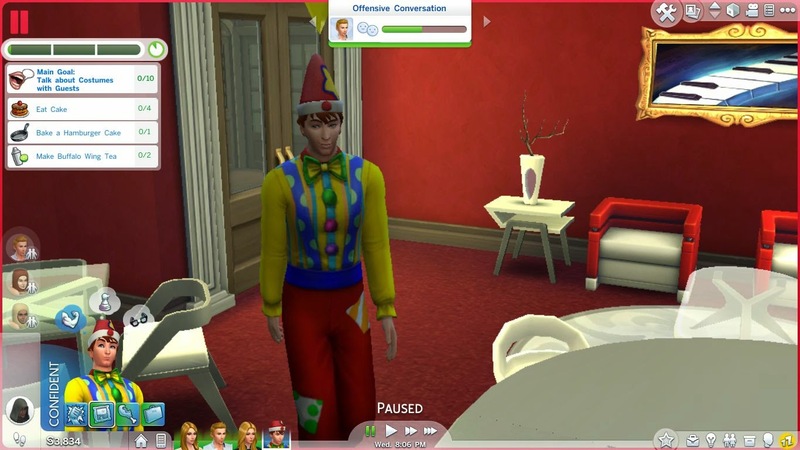 Jennifer came home and join the conversation with the guest.When all the family member returned home from work she got an idea to throw a costume party as it was Halloween Eve. 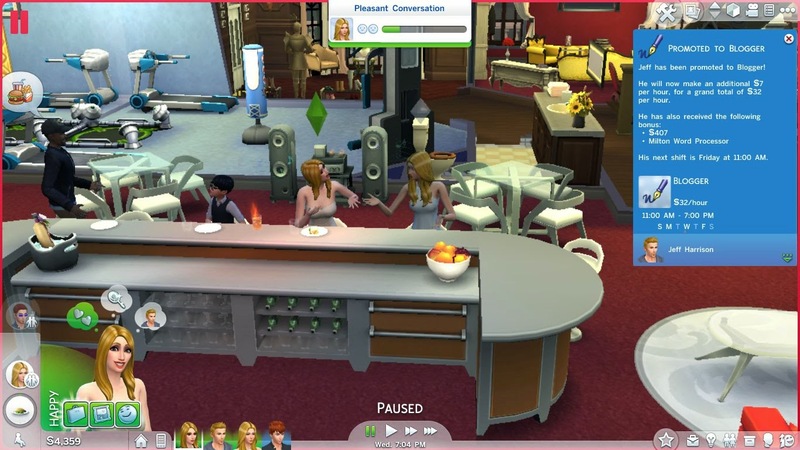 Soon that simple "meet and greet" thingy turned into a social event.Jennifer dressed herself as Grim Reaper and Alex became Joker. 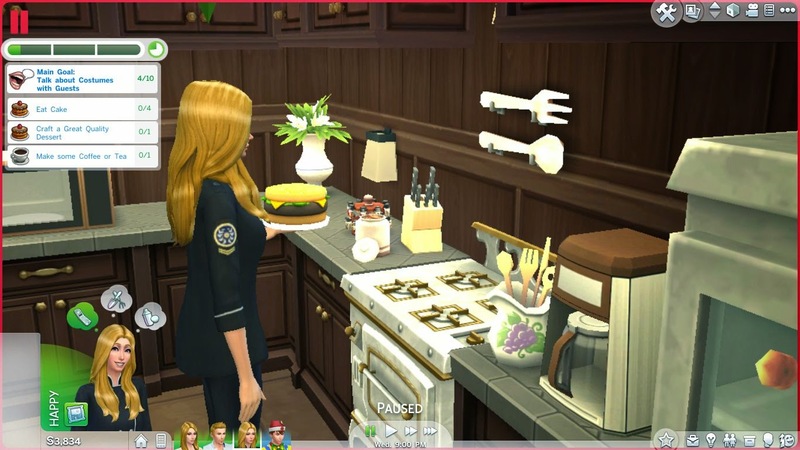 Laura became the caterer for the party and went to bake a hamburger cake for the guests.She also made some coffee. 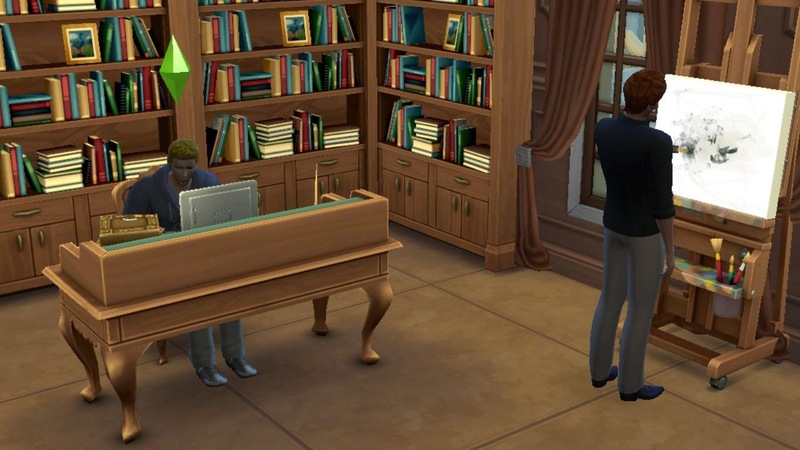 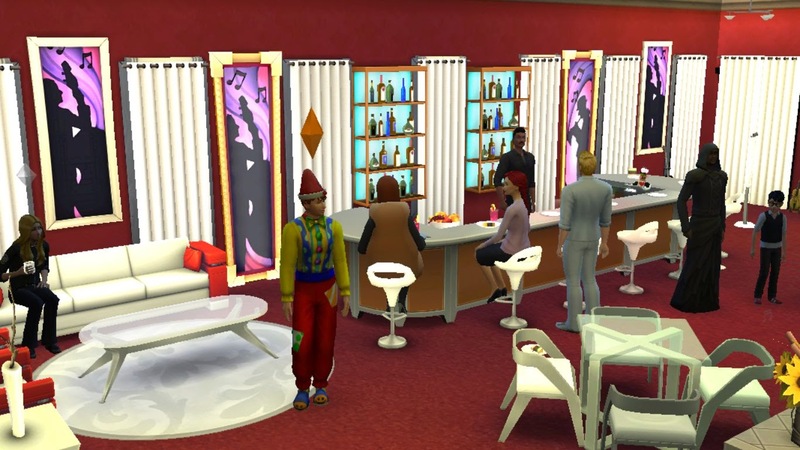 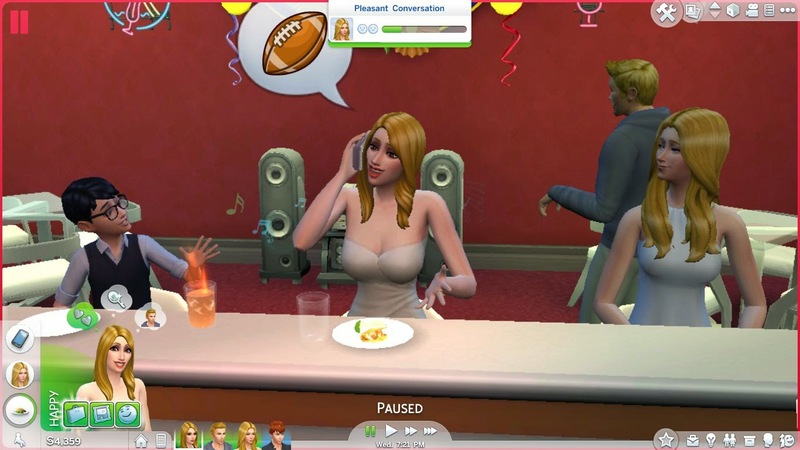 Everybody was enjoying the party and complimenting each other's costume.Social events are pretty fun in the Sims 4. 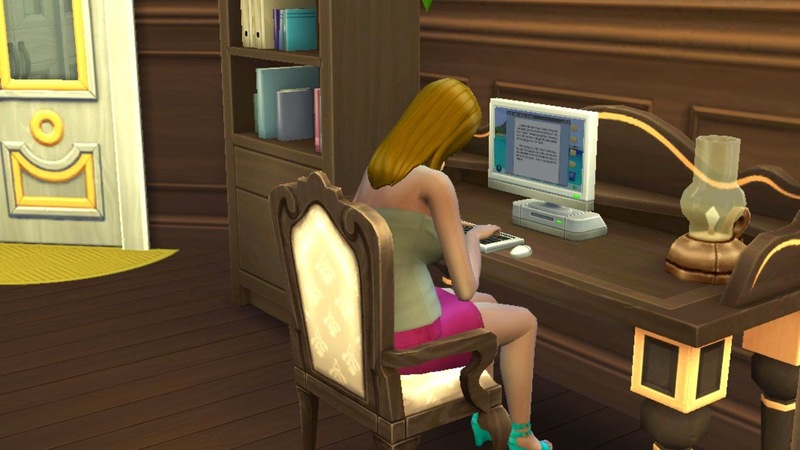 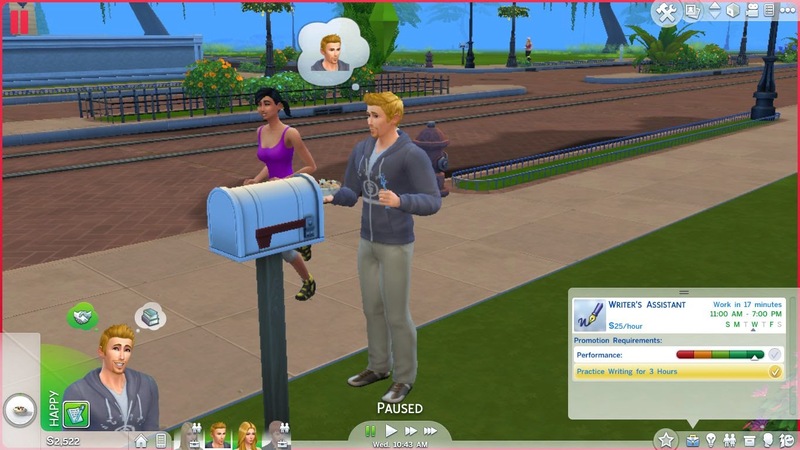 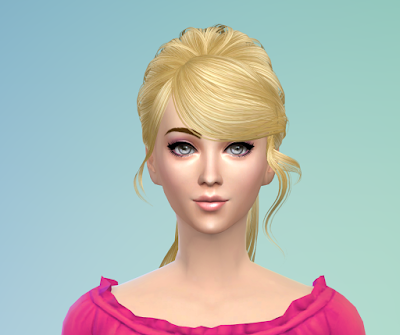 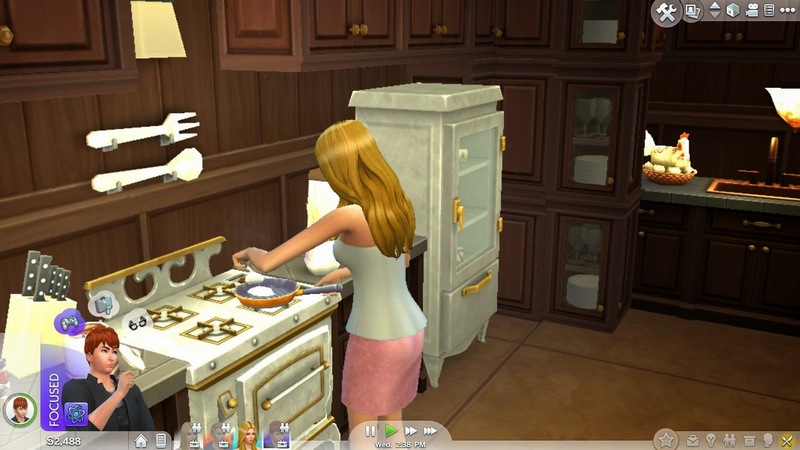 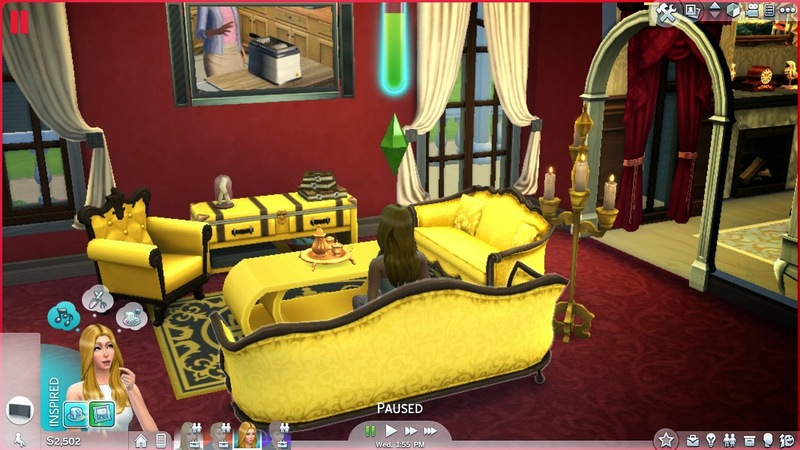 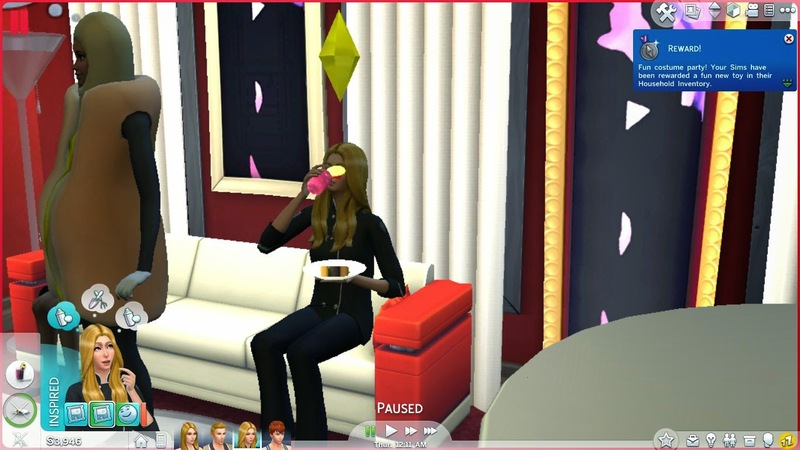 I also love the feature that Sims can eat and drink together in Sims 4.I earned a silver badge for the party though I completed the main goal.